If you are looking for a unique summer fruit salad, this one is for you! The watermelon gets a caramel-y flavor when it is grilled and pairs really well the other flavors and textures in this recipe. Tip: This salad is Red, White, and Blue so it is PERFECT for a 4th of July party! Place the last 7 ingredients listed in a bowl and whisk to combine. Remove rind from watermelon and slice into large strips for grilling. 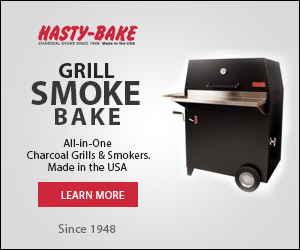 Grill on both angles on both sides to create an X pattern. 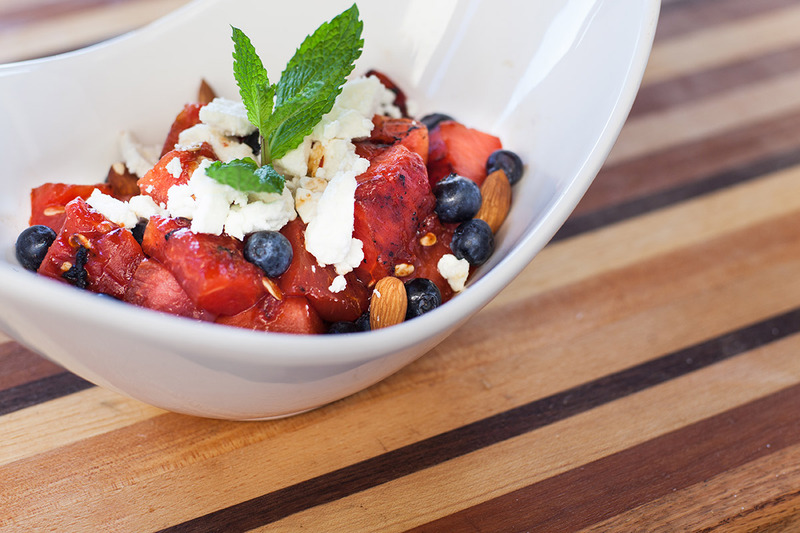 Add Watermelon to the bowl you will be serving it in and then add the blueberries and drizzle with the dressing. Stir gently to combine. Sprinkle the almonds and feta cheese over the top and garnish with more mint leaves to serve. Enjoy!